Kent Bell’s work Copy was produced in the biggest NZ city and referenced the ‘big brother’ culture of today. 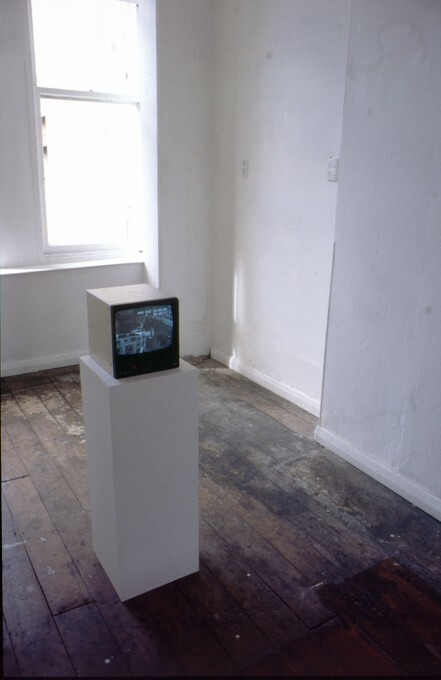 There was a surveillance video playing on a small monitor, showing the interior of an art gallery. (This image was not of Enjoy, but of an Auckland dealer gallery). The video showed the stealthy removal of three McCahon-esque paintings by a balaclava-clad man. At the opposite end of the Enjoy space were three wooden sculptures carved with a chainsaw, which on inspection, appeared to be large, solid moneybags. Galleries make big money. Galleries hold big money. Galleries represent big money. 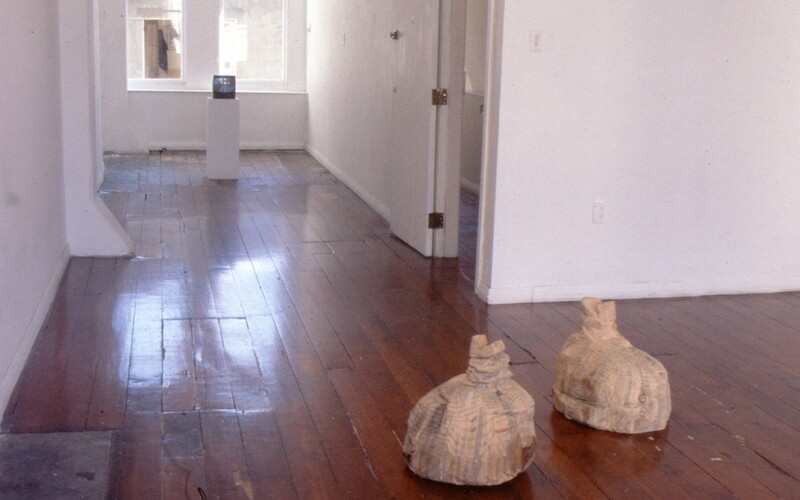 Interested in new and experimental artists attacking the boundaries of contemporary art, the Damage series (September – June 2001) sought to delineate some of the current grounds of confrontation through experimental and subversive work.